Fans of fashion – and fashion history – get to double dip starting next month when two major fashion exhibitions are unveiled in the Big Apple. The first, “Camp: Notes on Fashion” will run May 9 through September 8, 2019 at the Metropolitan Museum of Art’s Costume Institute and explore how the camp aesthetic often infiltrates mainstream fashion and culture. Sponsored by Gucci and Condé Nast, the show will feature 250 objects including menswear and womenswear that reference camp – and all its irony, humor, parody, pastiche, artifice, theatricality, and exaggeration – dating back to the reigns of Louis XIV and Louis XIV at Versailles up to the present day. Notable menswear names featured in the show, which was organized by Andrew Bolton, Wendy Yu Curator in Charge of The Costume Institute, together with Associate Curator Karen Van Godtsenhoven, include Thom Browne, Christopher Bailey, Virgil Abloh, Gucci’s Alessandro Michele and Hedi Slimane. The other not-to-be-missed exhibition explores fashion’s extremes. “Minimalism/Maximalism” will run at the Museum at FIT from May 28 to November 16, 2019 and spotlights the opposing “less is more” and “more is more” aesthetic poles that often characterize fashion design. It will feature more than 90 garments, accessories and textiles from the 18th century to the present that are part of the museum’s permanent collection. 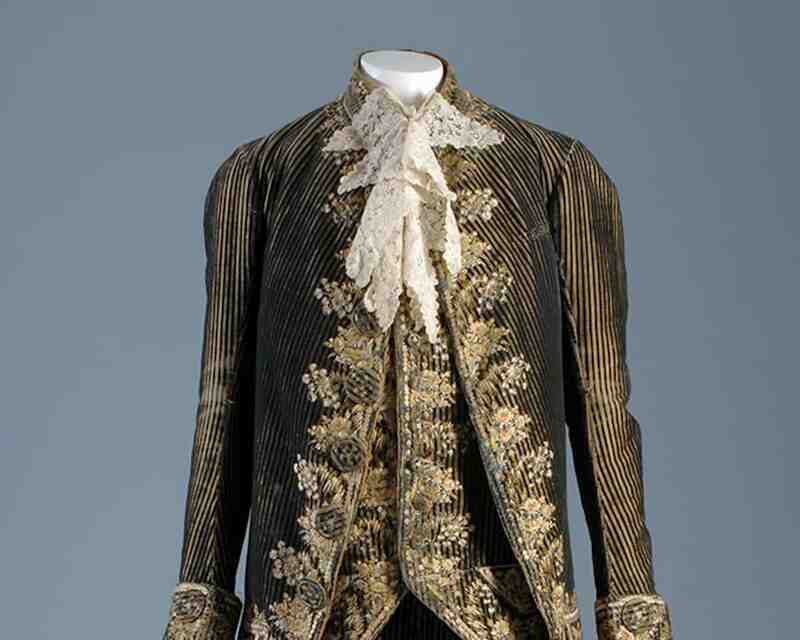 Menswear highlights in the show will include an elaborate Rococo era French court suit (pictured) and a far more toned down suit that became the go-to style just a few decades later. The exhibition will also spotlight how men’s formalwear became minimal, dark and sober in the 19th century in direct contrast to the ornate women’s gowns of the period. The present day will be represented by an oversized Balenciaga Triple S sneaker, among other items. “Minimalism/Maximalism” is sponsored by the Couture Council of The Museum at FIT and like all shows at FIT, admission is free.